Since the early 1960's, hotels and restaurants have used our popular Scott Signgraving® machines to create engraved menu signs and food server name tags. Engraved signs are the toughest, longest-lasting signs that you can create yourself. But how do you make a sign just for today, to announce the day's buffet and special events? Simply provide the printer, and we provide the rest. 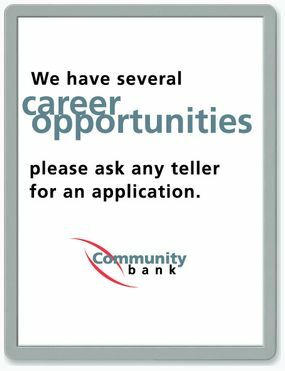 Use our free templates to print your information on standard sheets of paper for 8 1/2" x 11" signs, or use our pre-perforated paper for smaller sign panels. Slip the printed panel into a SNAP® sign or SNAP name tag holder and you're done. It's Simply Never A Problem. While the muffins are in the oven, let's create this morning's breakfast buffet sign. The ingredients? Any word processing program, a printer and 8 1/2" x 11" paper. Today we're using a white 8 1/2" x 11" SNAP frame attached to a clear slant stand. The glare-free SNAP protective lens resists crumbs and fingerprints and can be cleaned with a soft, damp cloth. Click any image for a closer view and pricing of this smart SNAP sign and others like it. 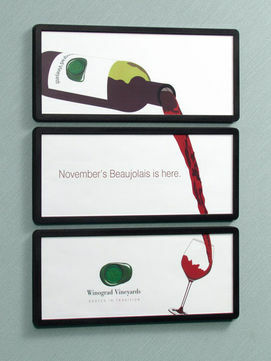 Now that you've carefully selected this month's wine, tell your guests all about it with an imaginative SNAP sign. 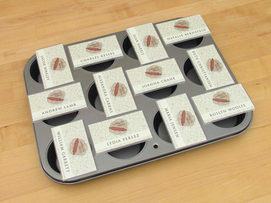 Think outside the frame -- to create tantalizing images that encourage sales. Here we've paired three 4" x 10" signs, attached to the wall with semi-permanent double-sided tape...one of many tape styles or wall screws we have for different surfaces. The lens requires a suction cup for removal, yielding a tamper-resistant, yet changeable SNAP sign. Our well-established clients include brew pubs and wine tasting rooms. 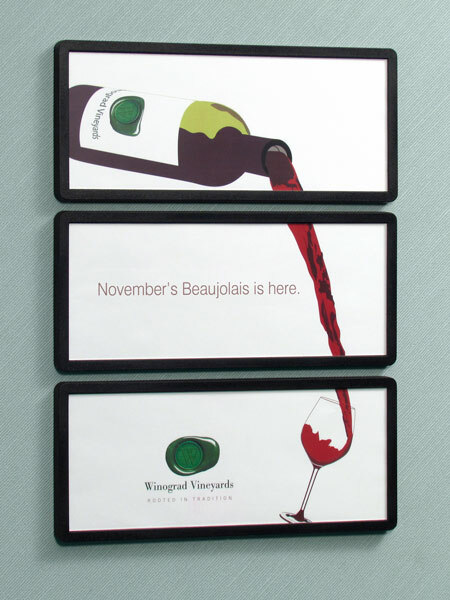 Go ahead and create your own blend of SNAP table-top displays with wall signs and name tags. 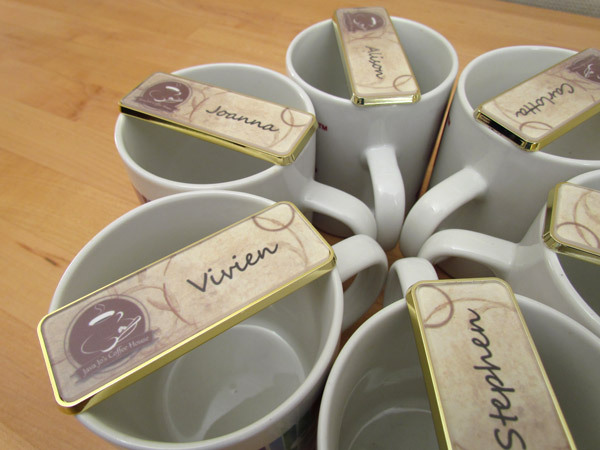 Hospitality begins with a personal introduction...so let us help you brew your own changeable name tags -- with gold or silver name tag frames, pins or magnets and free SnapSign Dsign® templates. Add a corporate logo too, for a real eye-opener. And for special events that require temporary staff, print a SNAP name tag for each new staff person. No time to wait for name badges to be delivered? Just mix in your logo with your corporate palette to create your own SNAP® name tags on the spot. Watch the Demo Video and we'll show you how it's done. 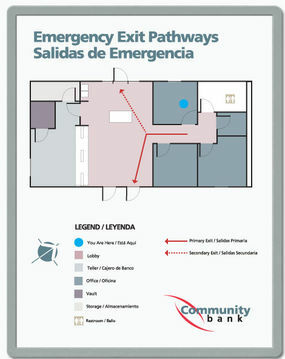 Create multi-lingual emergency exit pathway signs and floor plans in just minutes. You can quickly print these emergency exit pathway panels for every room, then mount your printed sheet in a changeable SNAP sign. Our handy screws permanently affix the sign to the wall for easy viewing. 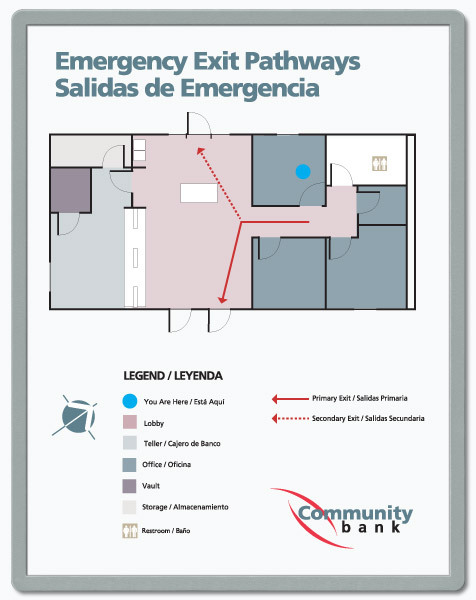 To help you consider the options, here's a page just for Multi-lingual floor plan signs. Scott Machine Development Corp. has been manufacturing and selling Scott® engraving machines, sign and identification products for over 50 years. Our channels include direct sales to end-users, many distributors, and resellers in local sign shops. We've been manufacturing SNAP® signs and badges for over 20 years. Wherever people need to be introduced and informed, our products are there to help. Call us, and we'll explore your career opportunities in re-selling our well-known Scott® and SNAP® signage products. Like to wear a sample badge or place a SNAP sign on the wall for your staff to review? With Priority Mail, we can usually have a sample on your desk or shirt in two days. We're proud of what we make here at Scott Machine, to help you create the SNAP sign you need. For friendly service, just call us at 607-865-6511, weekdays from 8:30am-5:00pm. Our famous SNAP sign is just one of many ways we can help. 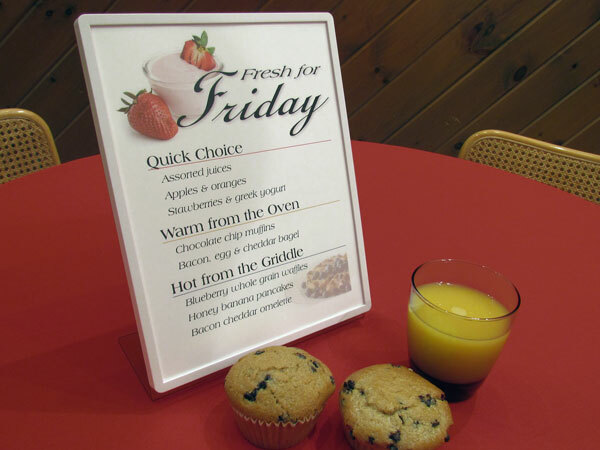 Do you need waterproof signs, for ice machines, dish washers, refrigerated equipment and other wet surfaces? Or temperature-resistant signs to label ovens, ducts and other hot devices? Then click to view our Engraved Hotel Signs and Name Tags.